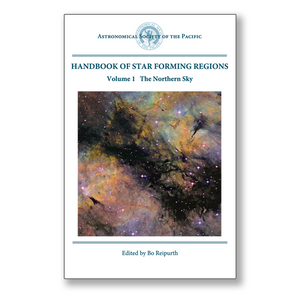 The Handbook describes the ~60 most important star forming regions within approximately 2 kpc, and has been written by a team of 105 authors with expertise in the individual regions. It consists of two full-color volumes, one for the northern and one for the southern hemisphere, with a total of over 1900 pages. The Handbook is full of stunning color images from some of the best astrophotographers, complementing the extensive research, figures, and tables presented by the authors. 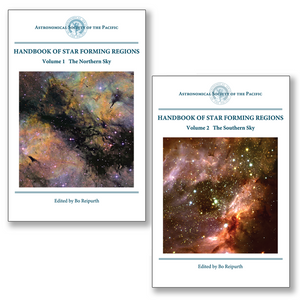 These volumes aim to be a source of comprehensive factual information about each region, with extensive references to the literature. 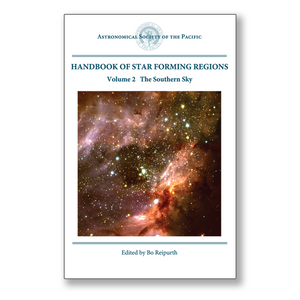 A useful reference guide for both researchers and students, the Handbook provides a unique and detailed presentation of our current knowledge about the nearest and most important star forming regions.